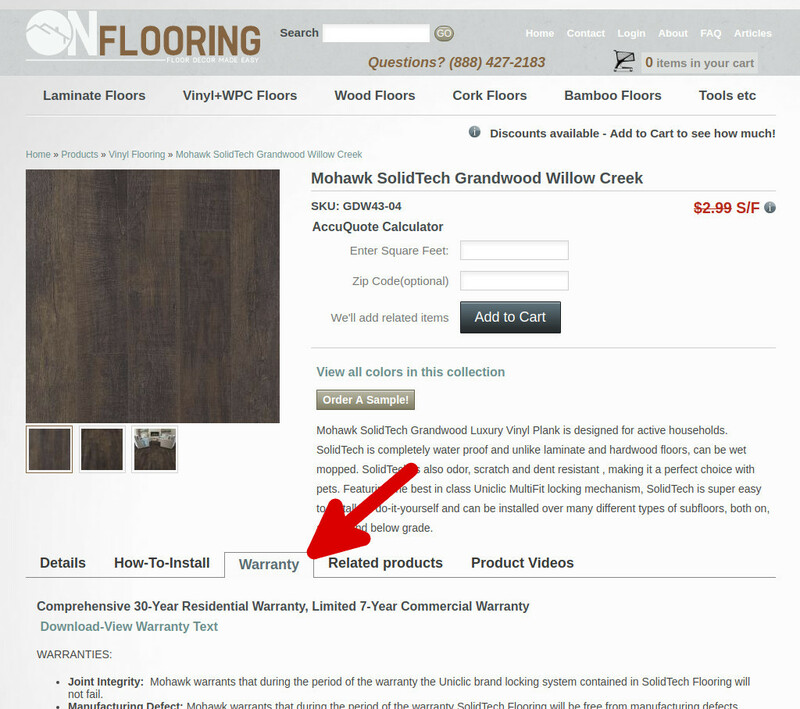 ONFLOORING, INC. is an authorized retailer of all products listed for sale on this site. All products are first quality and come with the same manufacturer warranty as any authorized flooring retailer. Navigate to the item of your choice and press the Warranty Tab. Here you'll be able to read the warranty and in most cases, download a PDF version.